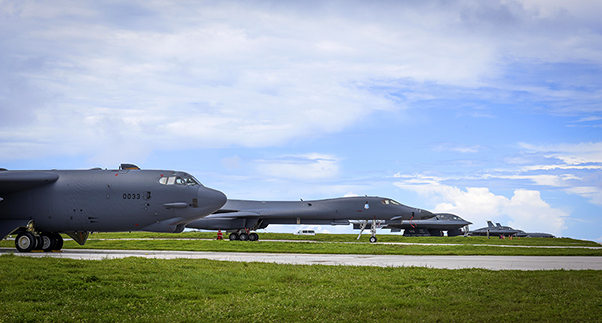 A B-52 Stratofortress, B-1B Lancer and B-2 Spirit sit beside one another on the flightline at Andersen Air Force Base, Guam, Aug.10, 2016. The occasion marked the first time in history that all three of Air Force Global Strike Command’s strategic bombers were positioned to simultaneously conduct operations in the U.S. Pacific Command region. For the first time in history all three of Air Force Global Strike Command’s strategic bombers, the B-52 Stratofortress, B-1B Lancer and B-2 Spirit, are simultaneously conducting operations in the U.S. Pacific Command region. 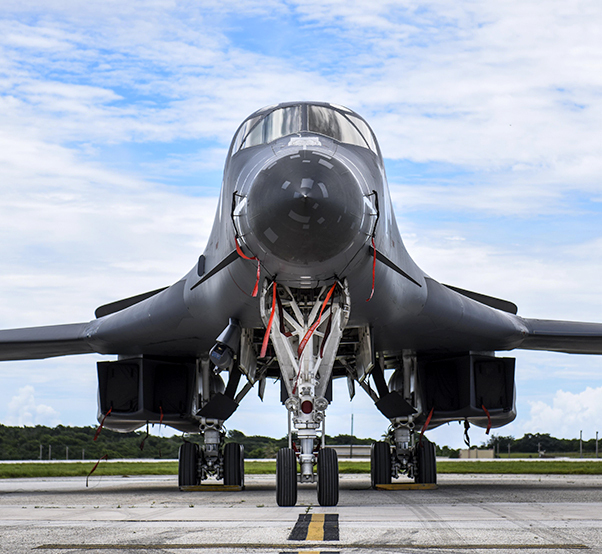 The B-1, which arrived at Andersen Air Force Base., Guam, Aug. 6, will replace the B-52 in support of the PACOM’s continuous bomber presence mission. The CBP bomber swap between the B-1 and B-52 is occurring throughout the month of August as the B-1s return to support this mission for the first time since April 2006. In addition to the CBP bomber swap, three B-2s arrived in theater to conduct a bomber assurance and deterrence deployment. 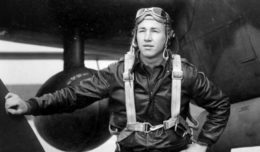 The CBP mission and BAAD deployments are part of a long-standing history of maintaining a consistent bomber presence in the Indo-Asia-Pacific region in order to maintain stability and provide assurance to U.S. allies and partners in the region. A B-1B Lancer sits on the flightline at Andersen Air Force Base, Guam, Aug.10, 2016. The occasion marked the first time in history that all three of Air Force Global Strike Command’s strategic bombers were positioned to simultaneously conduct operations in the U.S. Pacific Command region. The other two aircraft included the B-1B Lancer and B-2 Spirit. 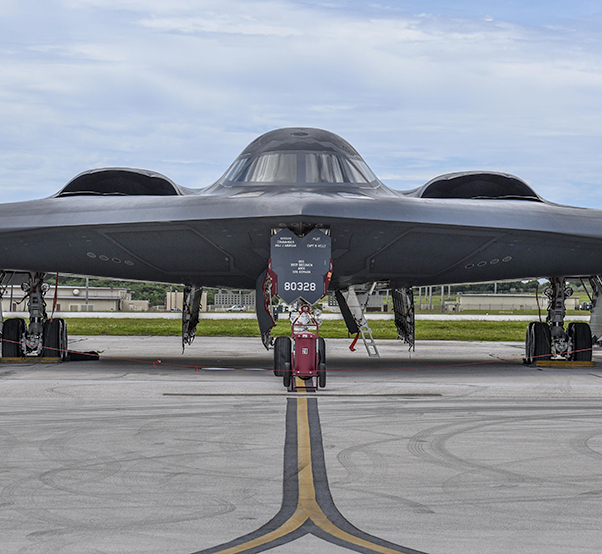 A B-2 Spirit sits on the flightline at Andersen Air Force Base, Guam, Aug.10, 2016. Three B-2s arrived in the U.S. Pacific Command theater to conduct a bomber assurance and deterrence deployment. The BAAD deployment is part of a long-standing history of maintaining a consistent bomber presence in the Indo-Asia-Pacific in order to maintain regional stability and provide assurance to U.S. allies and partners in the region. 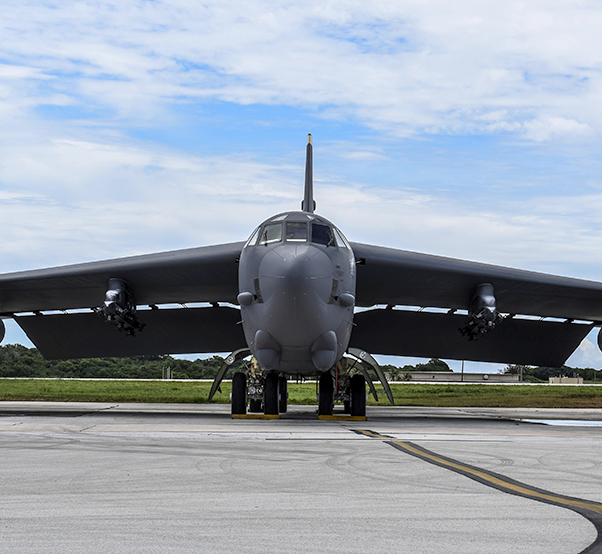 A B-52 Stratofortress sits on the flightline at Andersen Air Force Base, Guam, Aug.10, 2016. The B-52 was recently replaced by the B-1B Lancer, which arrived at Andersen AFB Aug. 6, 2016, in support of the U.S. Pacific Command continuous bomber presence mission. The CBP bomber swap between the B-1 and B-52 is occurring throughout the month of August as the B-1s return to support the CBP mission for the first time since April 2006.